Then one day, I ran across a recipe for laundry detergent on Pinterest. I’ve been using this recipe for around 2 years now, and I LOVE it. For one, my kids’ skin is clear of rashes and eczema…. but also, this stuff is hard-core. It cleans better than any store-bought detergent I’ve ever used. Optional: Oxyclean (3.5 lbs) — I ALWAYS use the Oxyclean, and it’s still OK with my kids’ skin. To mix it up, get a 5 gallon bucket, kitchen trash can, or some big container similar to those. Add all of the above items except the soap. Cut it into smaller pieces and run it through a food processor. Anyway, once you’ve processed the soap in whatever fashion you’ve chosen, mix it in with the other ingredients. Then, mix it all up! I usually just make this in half batches, because the whole batch is A LOT. A half batch usually lasts me around 6 months or so. To use, put 1-2 tablespoons in your wash just like you would do with normal detergent. Be aware–this isn’t strongly fragrant. I usually use vinegar as a fabric softener and add essential oils to that (my favorite–lavandar and sweet orange) for a hint of fragrance. I also usually use dryer sheets with my and my husband’s clothes, because it doesn’t irritate us like it does the kids. I’ve used this same recipe before, but I’ve noticed that mine always ends up going bad and starts to smell horrible after about a month, and I don’t know why. Hmmm… That’s odd. What kind of soap are you using? And are you using the off brand of oxyclean? Aside from that, the only thing I could think of would be how you’re storing it. Good luck! Just made for the first time, running my second load of laundry with it now!!! Clothes feel soft and clean!! ok so I did this and there was some white residue on my clothes, and when microwaving the bar there were still some large hunks that got harder… what am I doing wrong? Hi Kinsey! That’s very strange–I’ve never had a problem with residue. How much detergent did you use with your laundry? 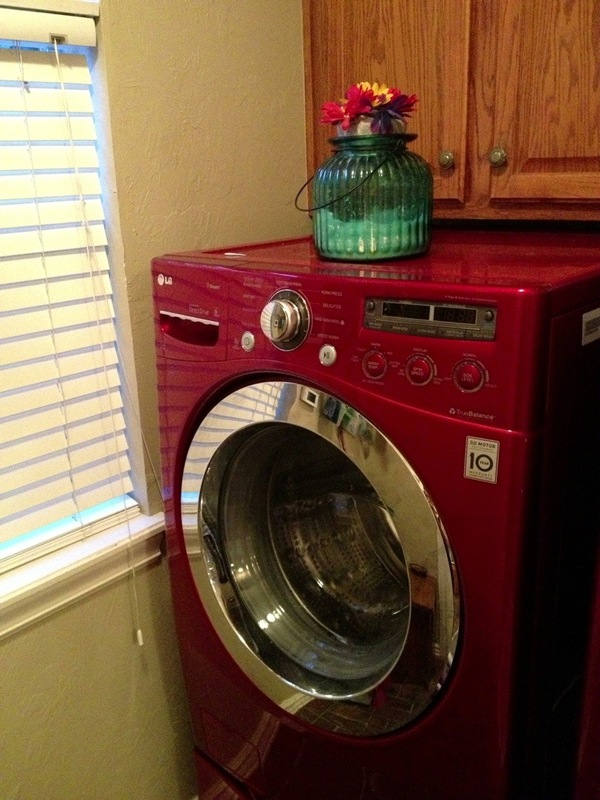 And what kind of washer do you have? With the bar of soap, did you use a bar of Zote instead of Fels-Naptha? I found that Zote didn’t do well with microwaving. With microwaving, I cut the bar of soap into smaller chunks so that it heats evenly.